IHEEP 2015 invited Harry O. Ward, PE, to speak in Pittsburgh as part of a Panel of Educators with Greg Bentley, the FHWA and others. He also spoke with Reed Adams, LS of VDOT on the success of their work Re-Engineering the agency to Bentley System's OpenRoads technologies. We want to thank IHEEP for a great conference. The professional development accomplishments of Harken-Reidar Inc. are highlighted in the Spring 2015 issue of Grading & Excavation magazine. Link to the article: "Innovative Training Programs: A Man Who speaks his Mind". Develop Libraries, Configurations and Training for State D.O.T. SitePrep Tech - Nov. 6-7, 2013 in Atlanta, GA.
Harry O. Ward, PE, the 10-year columnist for SitePrep Magazine spoke at this first-ever event sponsored and conducted by SitePrep Magazine and BNP Publishing. He hosted a panel discussion on Machine Control and Data Prep, listen to this controversial discussion on whether you should use a dataprep service or undertake the task in-house. Harken-Reidar and Curt Sumner of the ACSM, in a Web Radio interview and broadcast on "America's 1,000 Year Infrastructure"
On September 26, 2011, at 11AM, Harry O. Ward, PE was interviewed by Curt Sumner, LS, on Ward's vision for American Infrastructure over the next millennium on Americas Web Radio show. The interview was recorded and the link provided below will access the show. It touches on subjects related to infrastructure with a no holds barred approach. Curt and Harry are no-nonsense professionals who speak their minds, shake up controversy and introduce some never before heard topics! Curt is well known as the Executive Director of the ACSM. Harry was honored as "One of the Most Influential People in Civil Engineering" by CENews in 2010, is the chief blogger for POB magazine and a contributing editor for SitePrep magazine and was awarded "Professor of the Year" by George Mason University (GMU) in 2010. Click this link to hear about a long term solution to America's Infrastructure. You have never heard this one before! Click on the Link "9/26/11 Guest Harry O. Ward, PE"
Hybrid CADD Training� solves all of your technical training needs by including a blend of self-paced, online training classes with instructor-led classes in a single package. This program was developed specifically for the Civil Engineering, Surveying, Construction and Mining industries by Harrry O. 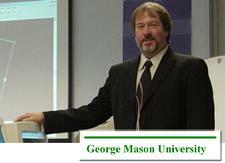 Ward, PE, "Outstanding Professor of Year for 2010" by George Mason University (GMU). The courses fit nicely into your company's internal career development track and is built to be a scalable solution. Instructor-led sessions are taught by expert, manufacturer authorized, licensed engineers. � Civil 3D Advanced training � Roads, Grading, Surveying, Hydra/Hydro, includes CAD Artisans Assemblies! As one of Carlson's top dealers nationwide, Harken-Reidar specializes in Survey, Civil, Takeoff/Construction, CADNet, Geotech, Trenching, Point Clouds, and SurvCE. Harken-Reidar is also your best option for office or field training after the sale. Our intructors are licensed professionals and our training is authorized for CEU's/PDH's. Contact us for your demostration today! Harry O. Ward, PE honored as one of the "15 Most Prominent People in Civil Engineering". CENews May 2010 issue names their "Power List" for 2010 - People Advancing the Civil Engineering Profession. People in the industry nominated Ward for this based on his many articles, textbooks, lectures, teachings and his leadership in the civil engineering, surveying and construction fields. Click this link to read the article and please Join us in congratulating Harry. this year's "Outstanding Adjunct Professor" award. 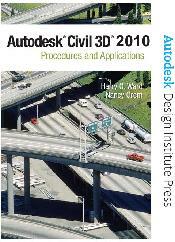 AutoCAD Civil 3D 2010 textbook by Ward/Orem shipped April 2009. This top selling text "AutoCAD Civil 3D 2010 - Procedures and Applications" is used throughout the world in universities, colleges and technical schools that offer training/education on Autodesk's Civil 3D. This book is published by Pearson, Prentice-Hall in association with the Autodesk Design Institute. 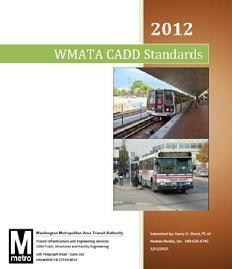 It is now in its 5th version after having published Civil 3D 2006, 2007, 2008 and 2009. The 2010 version of the textbook is now Nancy Orem's 2nd partnering with Harry O. Ward as a co-author and adds her industry leading input as a lead designer for Bohler Engineering. This book stands alone among the alternatives as an educational textbook because it teaches math, theory and algorithms within the field of civil engineering and surveying as it teaches the applied usage of Civil 3D. It can be purchased at www.amazon.com, www.prentice-hall.com or http://www.pearsonhighered.com.